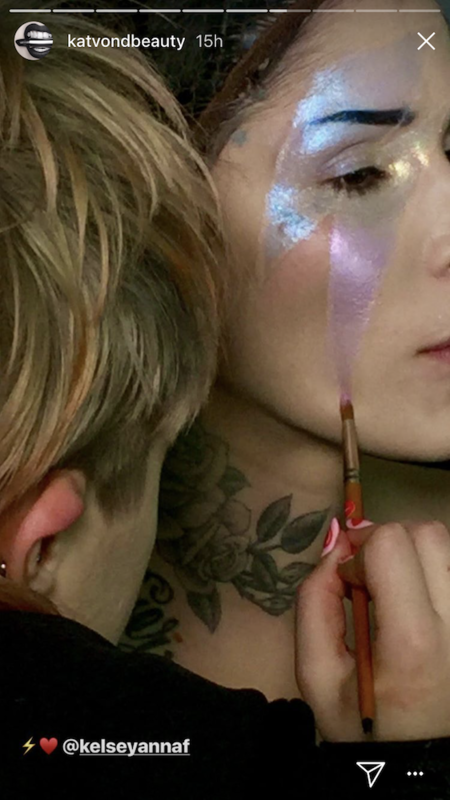 Of all our favorite beauty brands, few have as many upcoming beauty launches as are our dear Kat Von D. With some of her most exciting projects on the horizon, Kat took to her Instagram Stories to share sneak peeks of some brand new makeup that we can expect to see in 2018, and holy heck, they’re incredible. 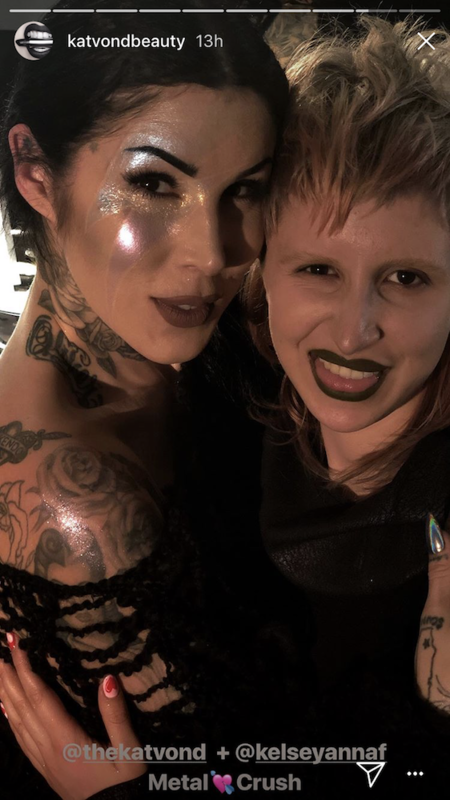 It can’t be overstated how innovative and unique Kat Von D Beauty’s products really are — there’s a level of creativity and artistry involved in every aspect of her makeup, from product to packaging, that is unparalleled. It makes it that much more exciting when new items are released because they are simply one-of-a-kind and truly special. We know that there are new Metal Crush Extreme Highlighters headed our way as part of Kat’s 10-year anniversary collection, as well as a variety of eyebrow products. It looks like these sneak peeks is giving us a glimpse of what we can expect upon its release. They’re better than we could have imagined. One of the exciting things about these upcoming products isn’t just that the makeup itself is beautiful (which it is) but that it’s created to be worn in a variety of creative and unique ways. You can think outside the box when it comes to these, as Kat proves in these glam sneak peeks. The Kat Von D Beauty Metal Crush Extreme Highlighters can be worn traditionally or in madcap creative new ways. Now that’s a new way to fulfill our Ziggy Stardust dreams. These are a pretty clear indicator that the entire 10-year Anniversary Collection will be kicking it up a notch, don’t you think? We have a feeling that these were taken during a photoshoot for the collection, which only makes us even more excited for its impending release. Can you even? Because we can not. We also got a glimpse at the Kat Von D Beauty brow products that will be released in April. Kat is wearing Super Brow Pigmented Pomade in Scarlet Red. We can’t wait to see how all the other shades of this innovative new brow pomade look on as well. There will be two other bullet-proof, long-wearing eyebrow products in different formulas making its way in the spring alongside the Pigmented Pomade: Brow Struck, a reflective powder, and Signature Brow, a precision pencil. Be ready, because this is going to be a very big year for KVDB fans. Keep those eyes peeled and those typing fingers ready.